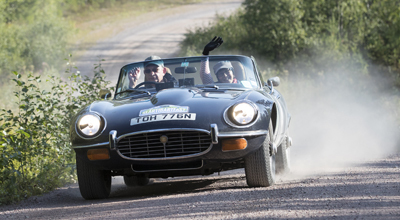 THIS RALLY IS NOW FINISHED BUT WE WILL BE HOLDING IT AGAIN IN 2020 – GET IN TOUCH WITH THE RALLY OFFICE TO FIND OUT MORE. 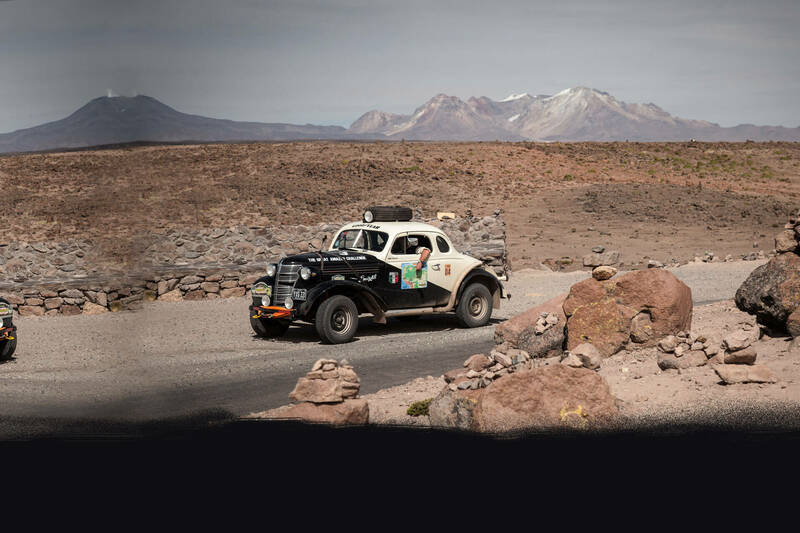 It was hailed as the greatest rally car road race of its age and attracted such star driving legends as Fangio and the Galvez brothers to compete for 10,000kms over just 14 days for the glory of winning The Grand Prix of South America. The one and only running of The Grand Prix of South America was in 1948. It started at midnight in Buenos Aires, Argentina and finished just two weeks late in Caracas, Venezuela. In essence it was a road race! It attracted the South American masters of the day including Juan Manuel Fangio, acknowledged as one of the greatest racing drivers ever. Fangio in his Chevrolet Master was in the top five but was chasing Oscar Galvez’s Ford V8 which was a front runner all the way, swapping stage wins with his brother Juan in a similar car. Fangio was heading for disaster on Stage 7, but before that we was to win stage 5 from La Paz to Arequipa. At the same time a real Knight of the Road was emerging in the form of Eusabio Marcilla who was dubbed El Caballero del Camino for his selfless acts of rescuing competitors when they got into trouble on the road. We will also be recognising our own Knight of the Road in the 2018 event. He was the person who came to the aid of Fangio on the 1322km Stage 7 when his car slipped off the edge and disappeared down a 200 metre drop. Marcilla was in contention all the way and would probably have had a top two or three finish if he had ignored the plight of his fellow competitors. 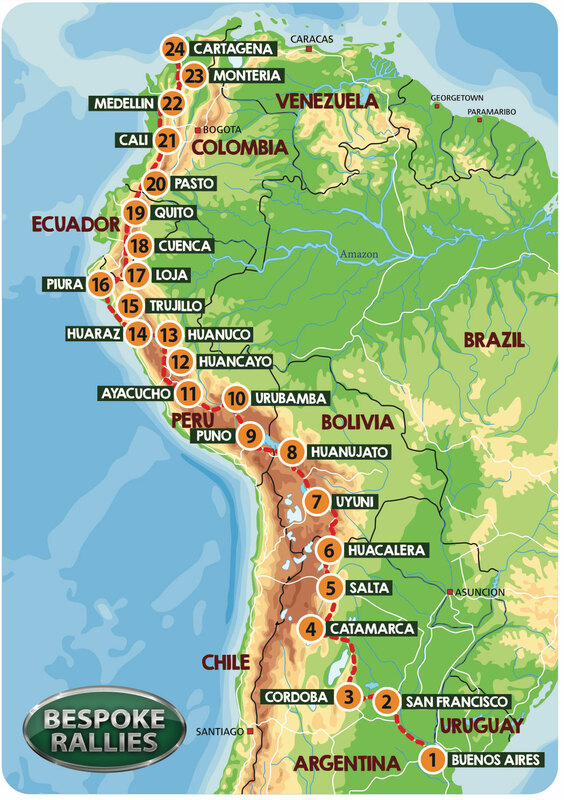 With Juan and Oscar Galvez now clear of their main rivals they continued to swap stages through Tumbes, Quito, Pasto, Cali, Bogota, Cucuta and Valera before the final run into Caracas. It is still regarded as the greatest road race ever and one that deserves a re-run in cars of the period. In 2018 we will celebrate the 70th anniversary of this great event with a new Grand Prix of South America which will follow the original route where possible. Where the roads are new we will find the old and where they have been covered in tarmac we will look for dirt. This competitive event will start at midnight in Buenos Aires (just as the original event did) and will run north to Salta and into Bolivia. Once over the border we cross the high plains to the great salt flats at Uyuni. The roads we select are very much the same as they were in 1948 when the cars scrabbled over the gravel on these challenging stages. From Bolivia the route is modified to run to Cusco along the east side of Lake Titicaca, then through the Andes before dropping down to Trujillo. After Trujillo we are once again on the historic route with minor changes to ensure we find some of the more interesting roads and sections. 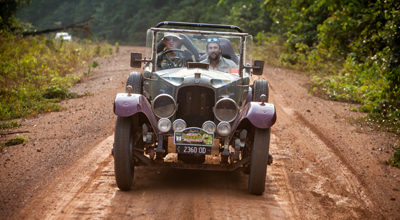 We enter Ecuador just after Tumbes which saw Fangio crash out in 1948. 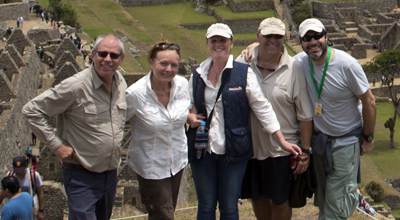 After Quito we enter Colombia for five intensive days of driving on magnificent roads before arriving at Cartagena in the north of Colombia. At the time of going to press it was impossible to go into Venezuela due to the political and economic situation there. We make no secret that this will be rough and tough in places and it will certainly test man and machine but it will be an incredible experience for all who take part. Join us for an amazing event. But drama was unfolding as the cars sped towards the finishing line. Juan Galvez was involved in an accident on the last stage leaving the prize open to his brother, only for him to breakdown within sight of the finishing line. As he was pushing the car towards the chequered flag a spectator joined in which resulted in this being classified as receiving outside assistance and a disqualification! The spoils then when to the surprised Domingo Marimon, nicknamed Toscanito, because of his habit of always smoking a Tuscan cigar. He had driven a steady race and was rewarded for his cautious approach. 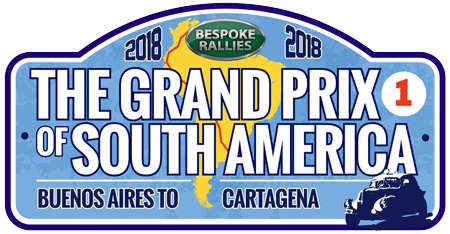 The rally covered nearly 10,000kms, visited Argentina, Bolivia, Peru, Ecuador, Colombia and Venezuela and attracted crowds of millions along the way. Each night you will have hotel accommodation with breakfast included. Most evening meals are also included. We aim to keep man and machine together so provide basic mechanical first aid as well as a medic for those little ailments. If you require servicing and comprehensive mechanical back up we strongly suggest you bring your own or share a mechanics van. All roads have been recced and the route is completely open. However, many roads are graded rather than tarmac – this can vary from very slow and rough to fast and flowing dirt. With this in mind we suggest you prepare your car carefully in order to reach the end of the event successfully. In the Touring class we accept 4x4s. It goes without saying that although we are going at the best time of year, it is still a hot and sticky environment and you should be prepared for rain, heat and dust. Daniel & Rabbia Schlatter – 1938 Chevrolet Coupe.